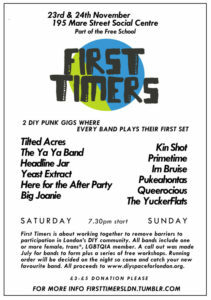 …a gig where every band plays their first set! First Timers started in 2013, inspired by similar initiatives in North America. 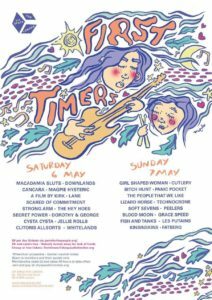 Since then, more than EIGHTY brand new bands have debuted at First Timers Festivals in London and Sydney. Scroll down to learn how to start one where you live. 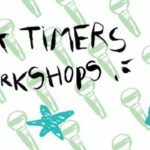 Sign up here to play your first ever gig at the next First Timers Festival, happening at DIY Space for London on Saturday 4th and 5th May 2019, or check out our season of workshops below. 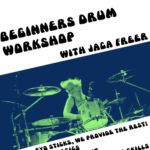 It’s Workshop Season for First Timers 2019! 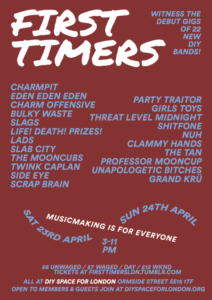 For the fourth time, spring in London, UK will involve a beautiful blooming of new bands, who have formed especially to play their first ever gig at First Timers 2019. Registration for playing is open until 14 February 2019, and we are excited to announce a bigger season of workshops than ever before. 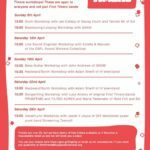 These are low cost or free events which are open to all beginners, taking place at DIY Space for London. Check out what’s on and come along or pre-book here as spaces are limited. Find out more about the venue including access and directions here. More than sixty bands formed for these events in 2013, 2016 and (upcoming!) 2017, with a season of skills workshops, socials, screenings and talks. Why start a First Timers? 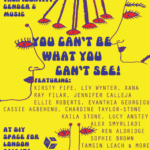 Whatever genre of music you like, if you’re part of any d.i.y community you’ll have noticed more discussion about representation and diversity in recent years. This is long overdue, but progress is very uneven and of course there is resistance. 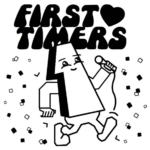 In our experience, First Timers is a super positive way to start pushing for change because it democratises who gets to take up space and creates a defined goal for anyone who has been waiting in the wings for an excuse to start making their own noise! First Timers started after a realisation that I’d waited ten years for someone to give me permission to start making music. A whole ten years where I could have been playing and learning and getting better, was spent wishing I had had some examples to follow. There is power of seeing yourself reflected on stage. Get up there and then you can be that person for somebody else! 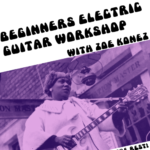 The skills we learn as d.i.y musicians are as often gleaned from those around us as they are from lessons (or youtube!) Making an effort to share basic skills through workshops or even just one-to-one hangouts takes the fear over not being good enough away. There is no one right way to play and whatever your vibe is, music making is for everyone. Local promoters always putting on the same old bands with the same types of people saying the same stuff? Being defensive and using the excuse that other bands just don’t exist? First Timers exposes this as a lie and gets new faces and voices up front. Encourage those who play in bands with people who are all exactly the same as them to ask themselves why. This is not ‘just the way things are!’ Think about why it might be that it takes a special opportunity like this for many people to feel confident enough to start playing, and start a conversation. Putting on a First Timers event is fun! – Space is crucial! Get your venue (or a shortlist of possibles) lined up well in advance and make sure you know about its accessibility so that you can communicate this to those who are considering signing up. Find out how much it will cost so you can fundraise (perhaps through charging a small donation on the door at workshops, talks or socials) for the venue hire in advance. Raise awareness about why you’re doing this, state the rules and what people should look for in a bandmate, drum up some hype about when the registration will be opening! – To support people who want to start First Timers, I’ve made dummy versions of the Forms we’ve used for you to adapt. To use these, please make a copy to your local Google Drive and then ensure the spreadsheet feeds the responses to a local folder – don’t just edit over these dummy ones please, or noone else can take advantage of them! – At least one month before the event, follow this up with the Confirmation Form to get the final list of who’s definitely playing and their tech spec. -Recruit local designers and artists to help! Remember to make sure the flyer is clear and easy to read. What’s the message? – Remember you’ll have to exchange several emails with each band, so if you have twenty sign up each with their own needs and worries, you’ll need help to coordinate all of this. More communication will be needed than usual for your average gig because you’ll be managing nerves, fears and anxieties too! Be Kind. – Those who are already in enough bands or are pretty experienced already are often up for sharing their skills to support the cause, so don’t be afraid to ask. – We’ve run Bass, Guitar, Drums, Keyboards and Synthesizers, Songwriting and Singing and Lyric-writing workshops, but the possibilities are really endless. – Running sound for bands who have never been on stage before takes a lot more work than usual, especially if you have more than twenty of them! Make sure there is a crew who can support each band with how to make the most out of their experience and a patient sound-worker who knows how to listen and respond to feedback. Maybe you’ve got lots of questions? Be in touch! If you’re running a First Timers in your area let us know and we’ll add your info to this page!